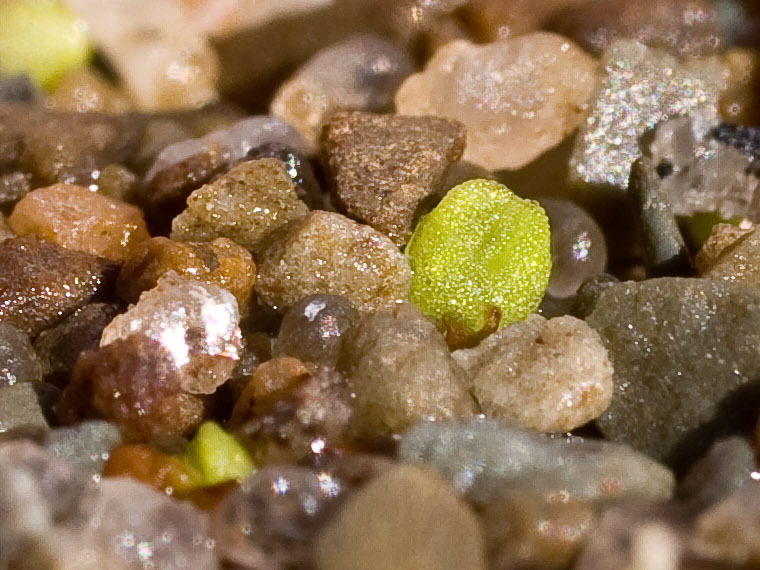 Yeah, those boulders are sand particles, and that glob is a brand new Lithops. Please, welcome him to this world. We have a bunch of Lithops and other mesembs’ babies, but they all look pretty much the same at this stage – green globs of cell.